Prior to April 1, 2016, GM 1500 trucks had either cast steel or aluminum control arms. Trucks manufactured on or after April 1 feature stamped steel upper and lower control arms. 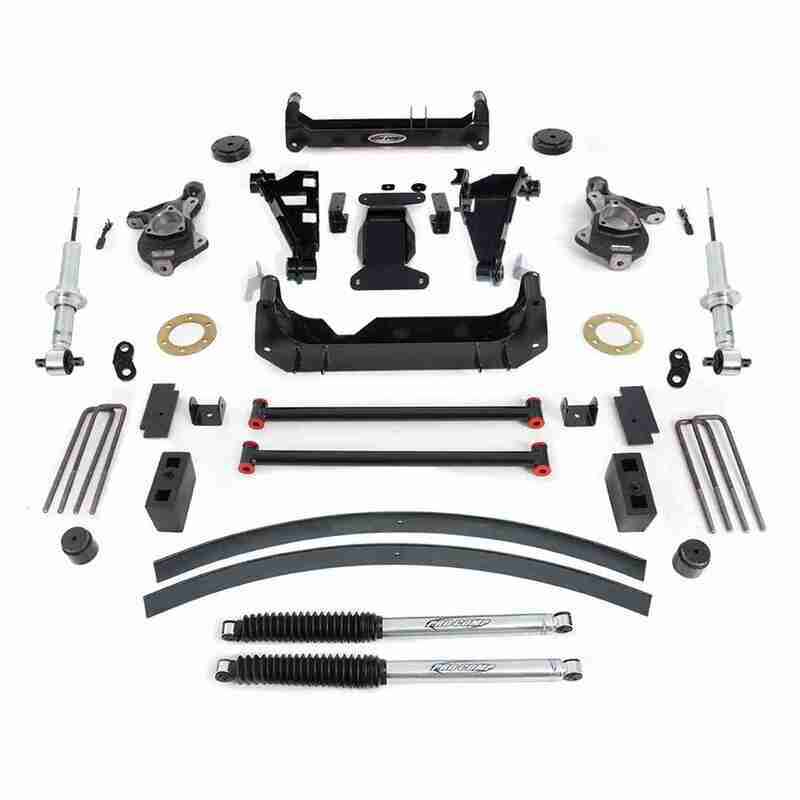 Pro Comps new 4-inch (K1173B) and 6-inch (K1171B) kits will work on GM 1500s with aluminum or stamped steel control arms. If you have inventory of the previously-released Pro Comp OE aluminum application 6-inch (K1165B) or 4-inch (K1159B) kits, you can add the new Sway Bar bracket kit (90-60616B) that will allow you to use them on the new truck with the stamped steel control arms. Fits models with stamped steel and factory aluminum suspension. Includes front strut spacer and front/rear Pro Runner shocks.